This is part 2 of the battle started in a previous post. If you have not already read that post, it is recommended, for continuity purposes, that you read this first and return back here afterwards. Return to Part 1 of this battle by clicking here. The Restless Dead and Palsy spells cast on the firewalkers home terrain now expire. 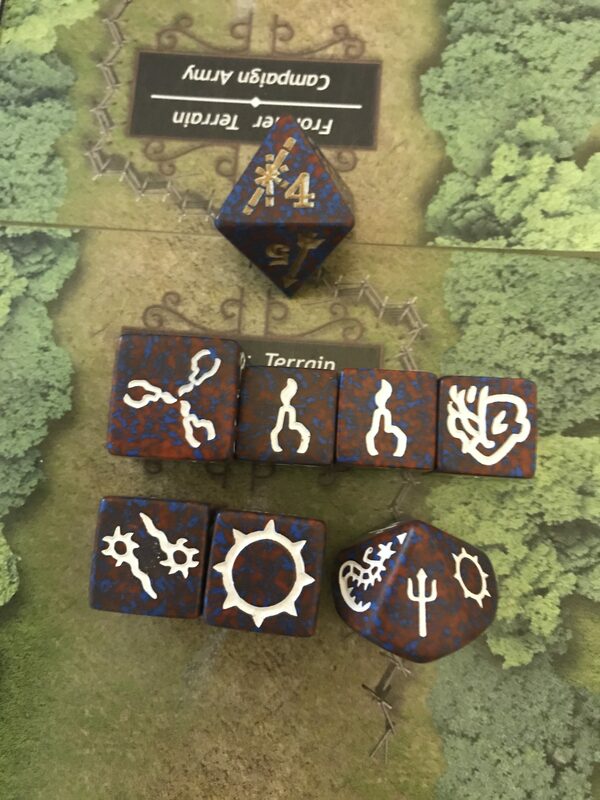 The Undead home terrain moves to face 7 as it is unopposed. 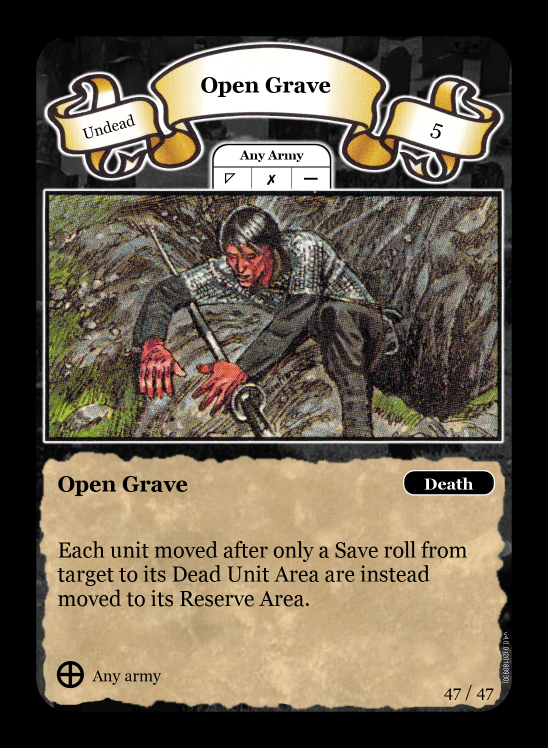 The reserve can only cast reserve magic from here …..
Their Bone Magic racial ability adds 1 magic result to the 7 already generated, giving 8 points which are used on an Open Grave and a Restless Dead for the horde. The plague SAI does not have any effect here. The horde is reinforced from the reserve army. 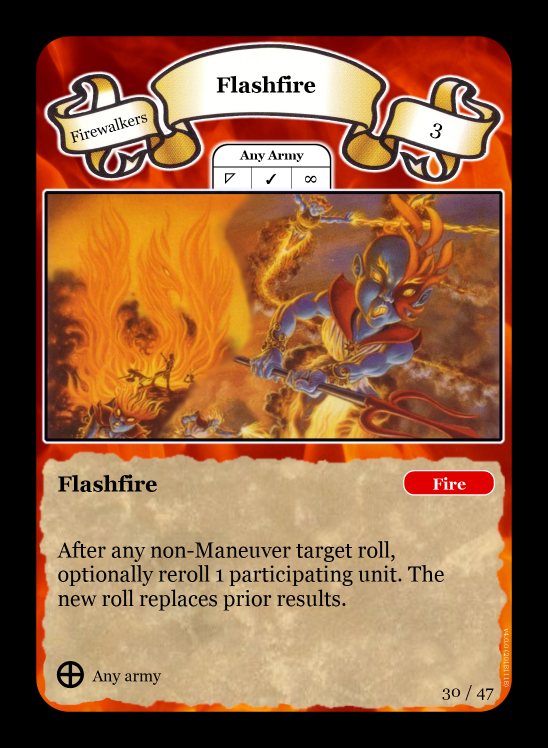 The Flashfire spell now expires at the firewalkers home terrain. 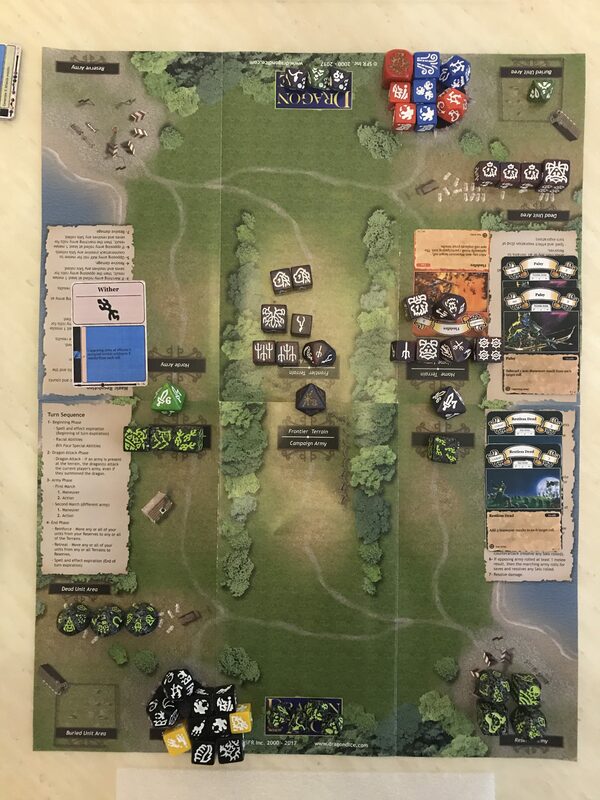 The firewalkers close in on the grove at the frontier, and it moves to its 4th face. 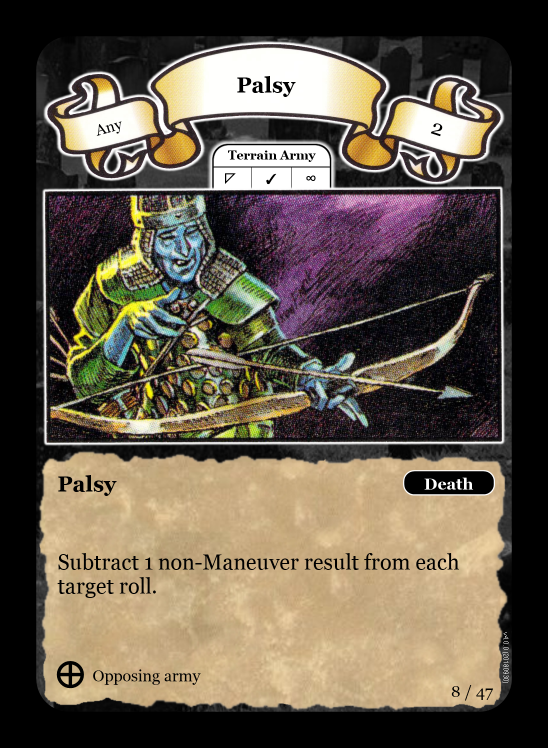 Magic support is needed to help the home army. 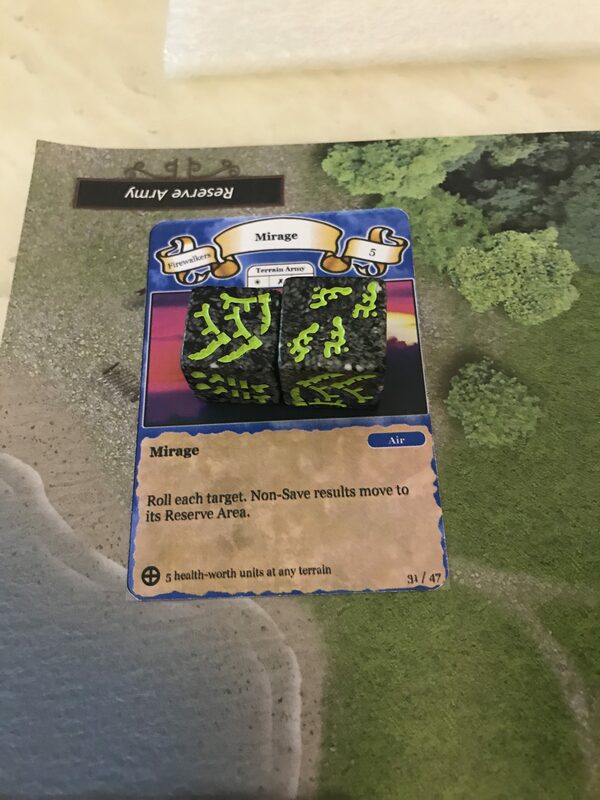 6 magic results are generated and used on a Mirage spell on the Ghost and the Heucuva. 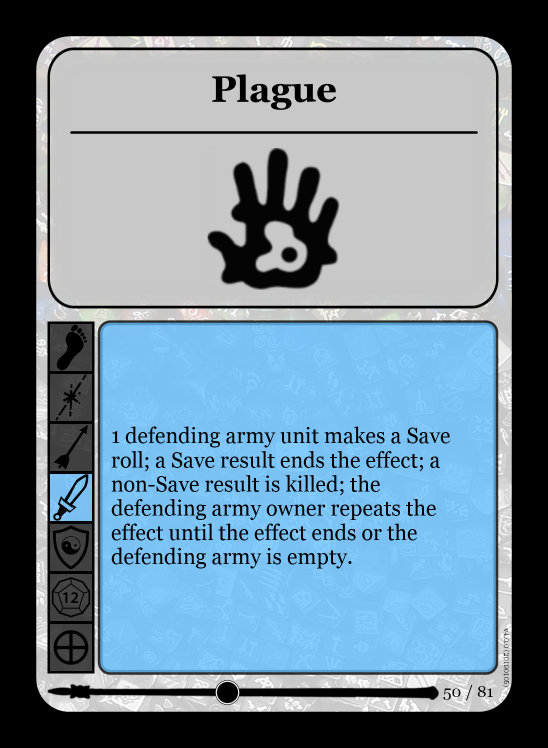 Neither unit produces a save and both are tricked into returning to the reserves. Not very bright, these Undead! The race is on for the wasteland temple. A manoeuvre battle. The firewalkers produce 8 manoeuvres which, in normal circumstances, should be enough to beat most Undead armies at a 100m sprint. 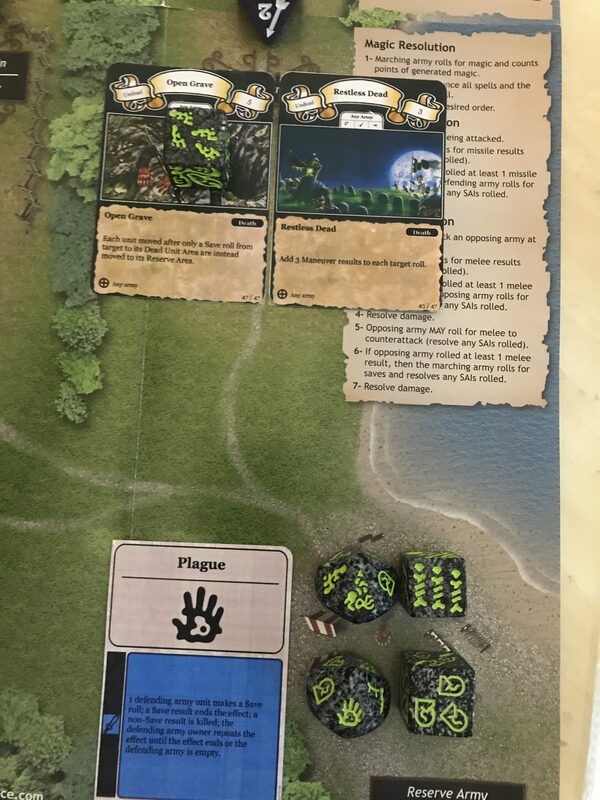 Spurred on by 3 additional manoeuvres from the Restless Dead spell, the Undead horde produce 11 on their own, for a heroic 14 points of defense. 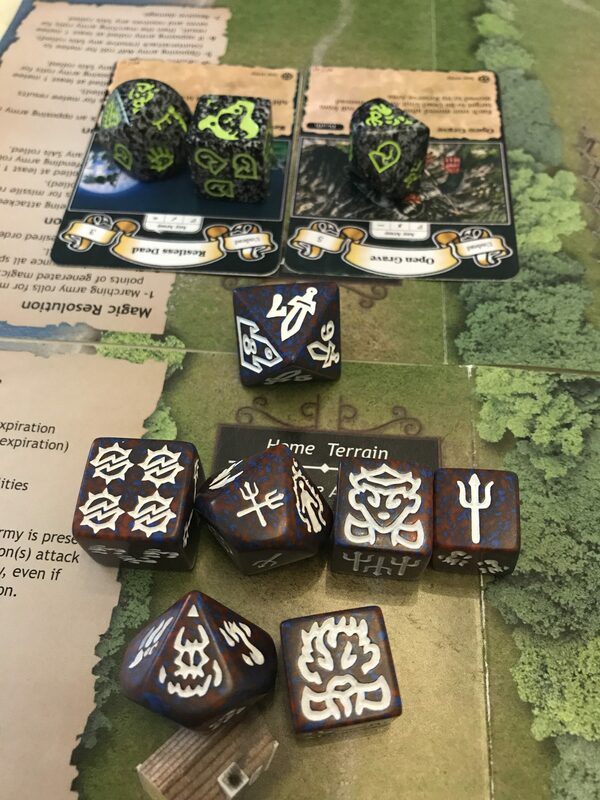 The terrain remains at its 7th face and the firewalkers have to either strike with melee, knowing that an Undead Counter could wipe them out, or remain quiet and try to capture the temple later. 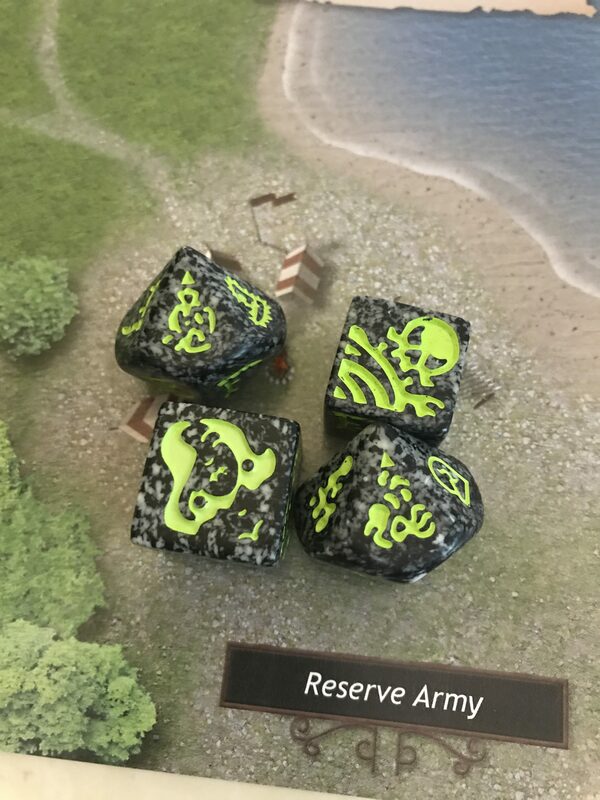 Knowing that things are currently as easy as they will ever be against this army, with the 2 units dispatched to reserves due to return soon, they realize that it is now or never and go in to do battle. 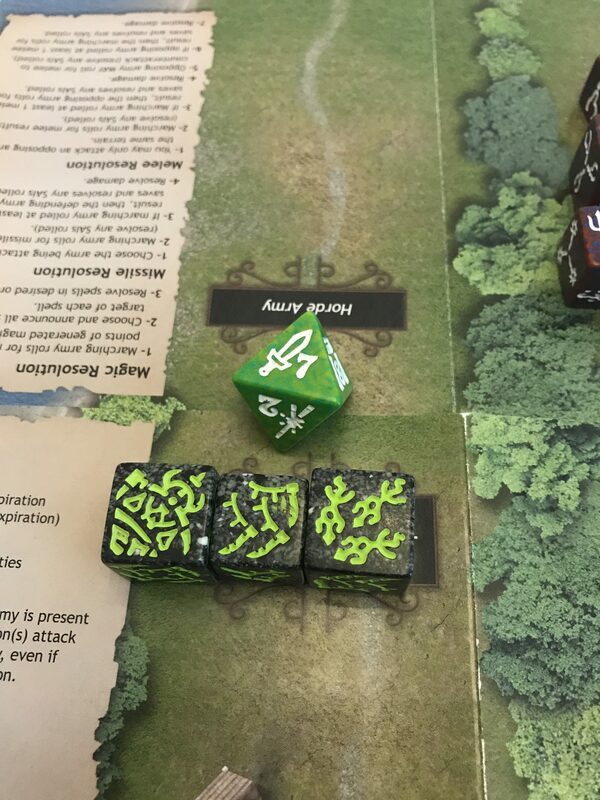 As the wasteland is a fire terrain, containing red, the Flaming Shield racial ability of the firewalkers supports the melee results, hitting the Undead for 11 points. The Vampire’s convert does nothing here, and nor do any other results. 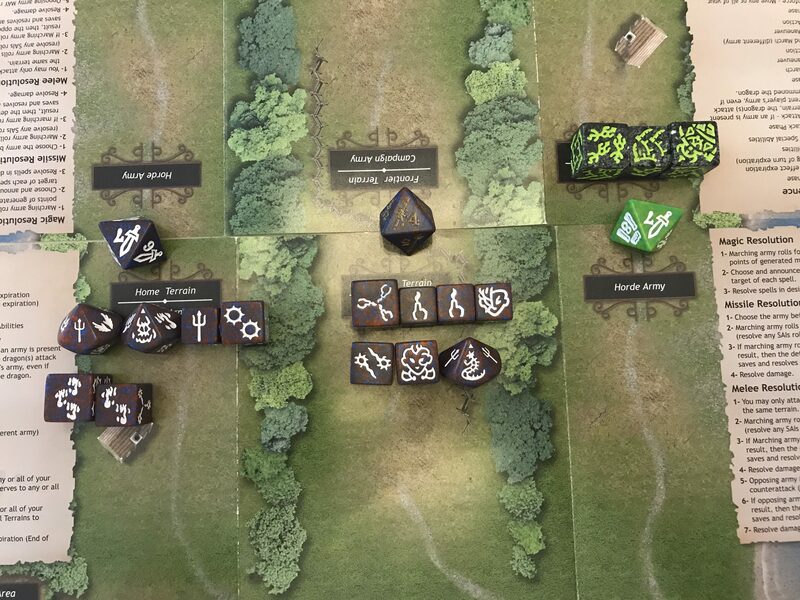 Once again, the damage done is exactly the right amount to despatch all units currently in the army but, thanks to the open grave spell previously cast on the terrain, they only go as far as the reserve area. 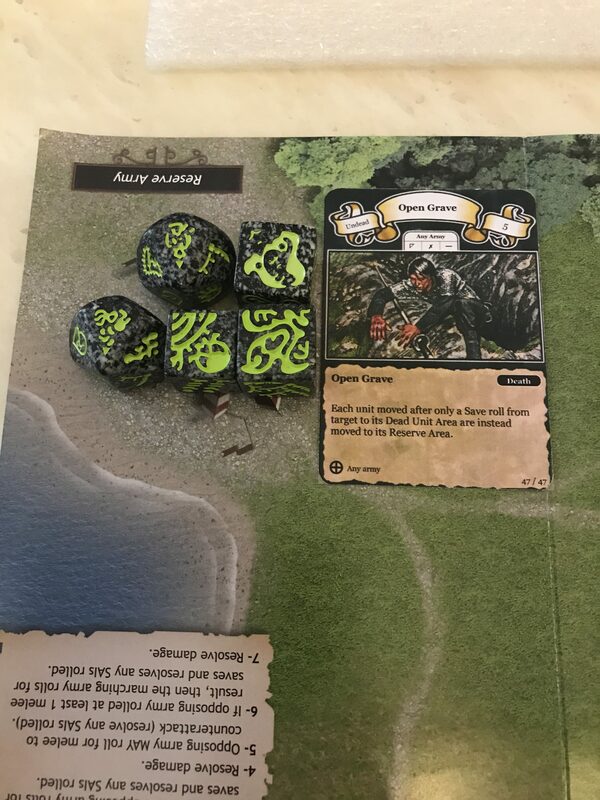 At least they won’t be able to try to capture the temple next turn. 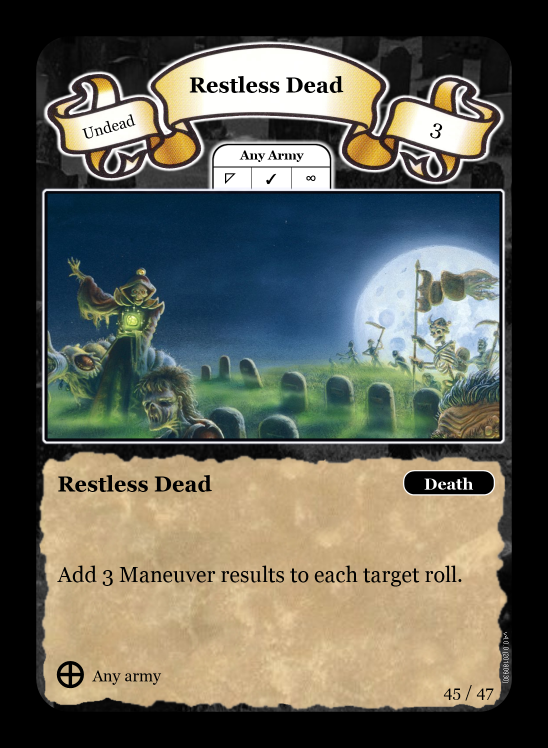 The undead now have an impressive reserve army, but are a long way from the battlefield. 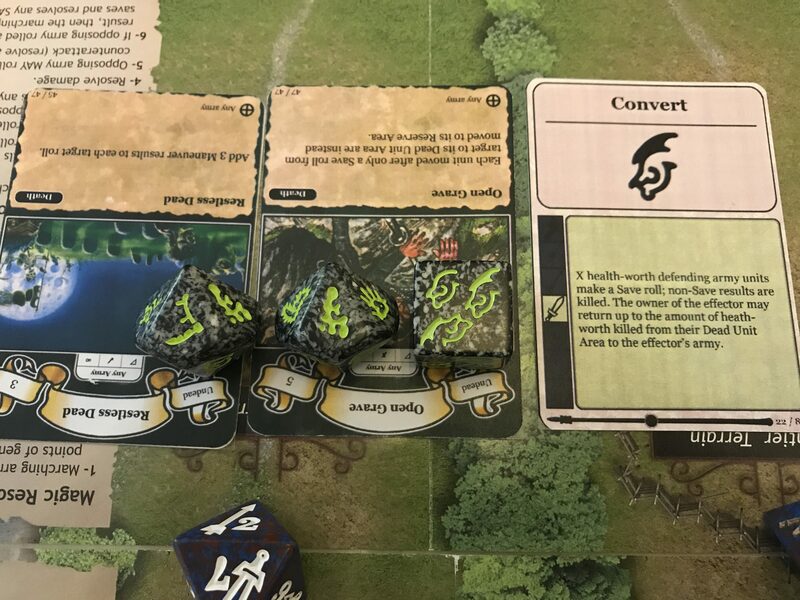 Unfortunately for the firewalkers, they are unable to use their Air Flight ability to take on the Undead at their own terrain, as the minor terrain containing the air element has been buried, and they no longer have units at that terrain. They all remain in situ to see what develops next. Excellent report and inspiring. 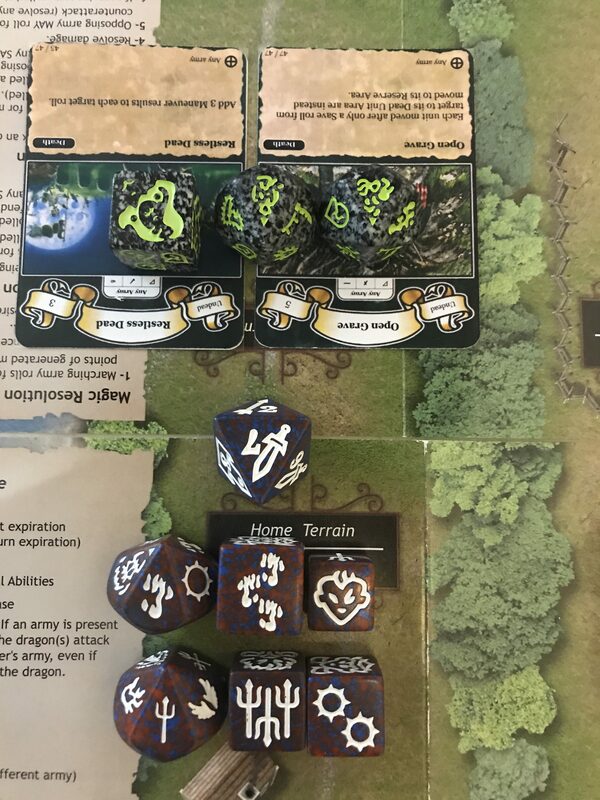 Can you say a little on why each army chose the terrains it did? I am still working out good terrain selections. 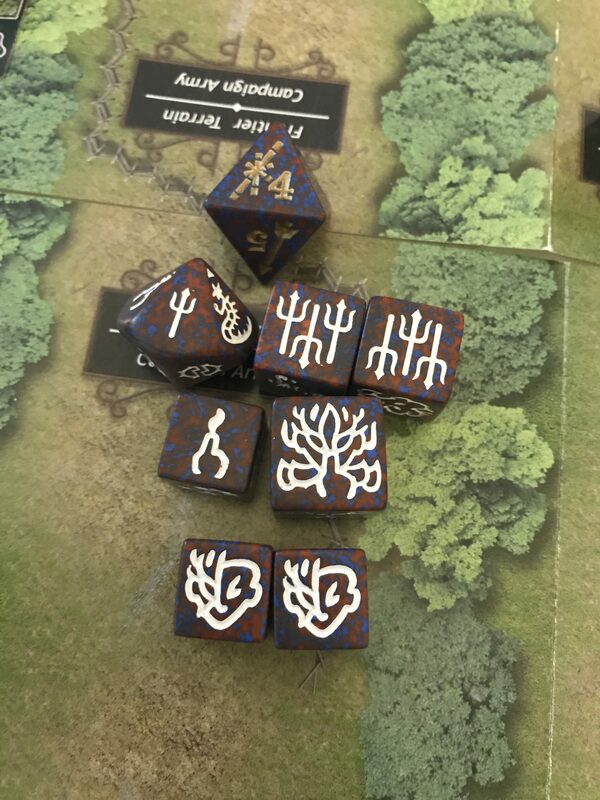 In this instance I deliberately chose the temple for the firewalkers and the standing stones for the undead because I was trying to illustrate the use of the standing stones to overcome the fact that the temple negates all of the undead’s magic capability. 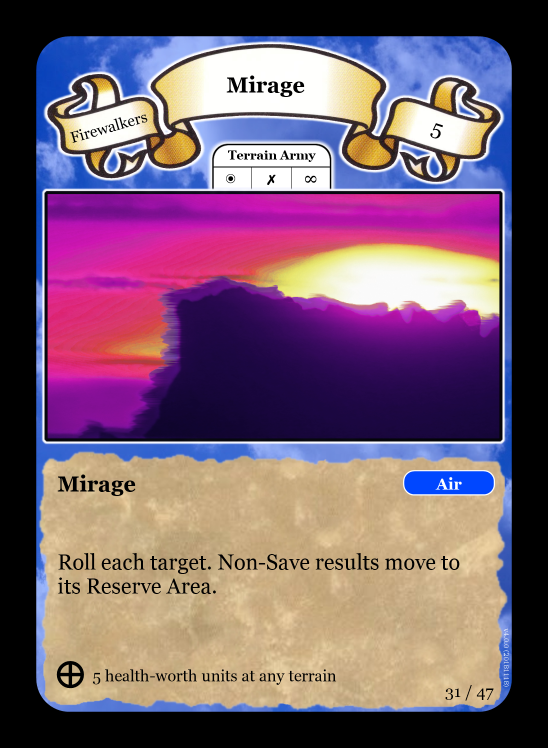 In the other games, I have chosen terrains to illustrate other points, such as the coral elves using missile fire at reserve armies. 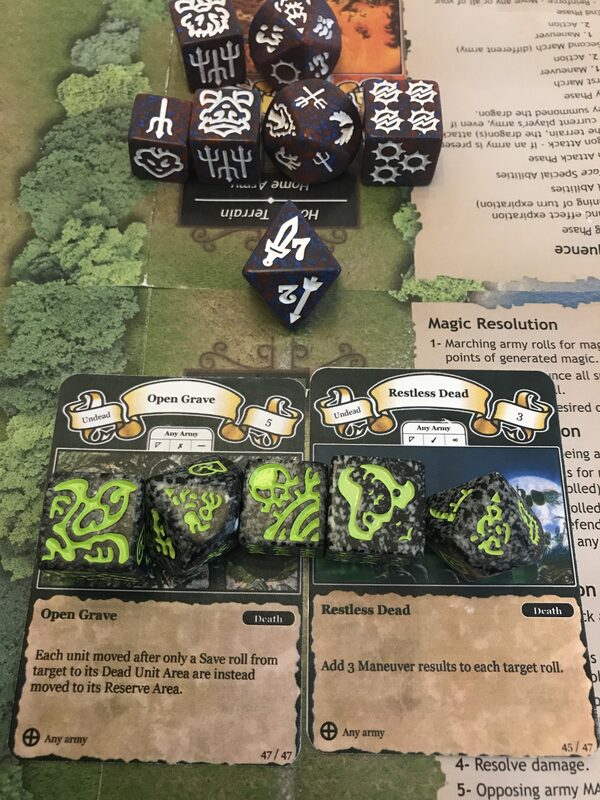 Once I move on to the advanced section of battles, I will be taking a closer look at terrain selection but, until then, I will still be concentrating on the usage of SAIs and the spells, and how they interact. 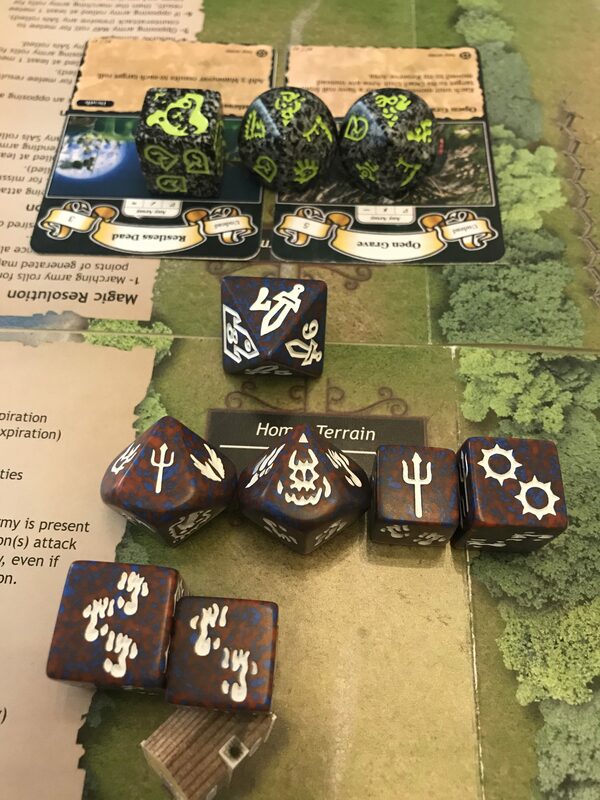 Thanks for commenting on my ‘story’ – your feedback is very useful and I will make a point of explaining my terrain selection in future battles. That approach makes sense to me. I am looking forward to the next instalments.